Breathtaking beautiful, love the colour and serenity of this captured scene. V.
at this rich moment a powerful scene...fine work..
A dramatic image unfolds in this land of sky flat earth and water. Beautiful light. Great composition. V.
Great scene with beautiful golden tones. 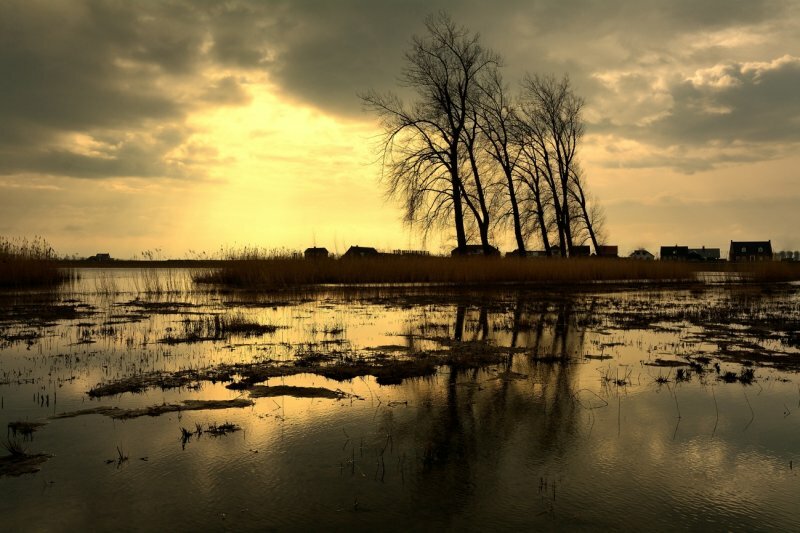 V.
Beautiful golden light image Ton. Awesome lighting. Love the the reflections of the trees. "V"
Such a picture of serenity, with beautiful light and reflections. V.